Pebbles Bocce Balls turn any surface into a bocce court. Regardless of how hard the surface is, these balls absorb the shock of impact. When thrown with the proper backspin, Pebbles Bocce Balls virtually stop right where they land. 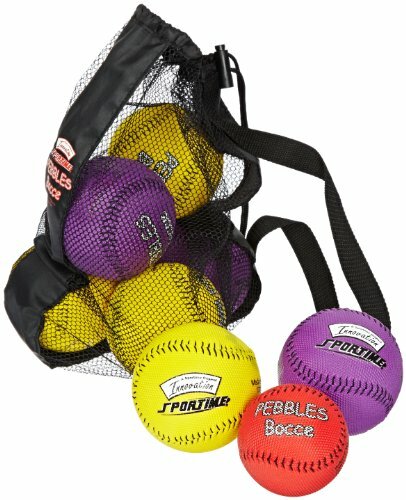 Set includes 4 violet and 4 yellow 4"(101mm) bocce balls and 1 red 3"(76mm) jack ball. Carry bag is included.